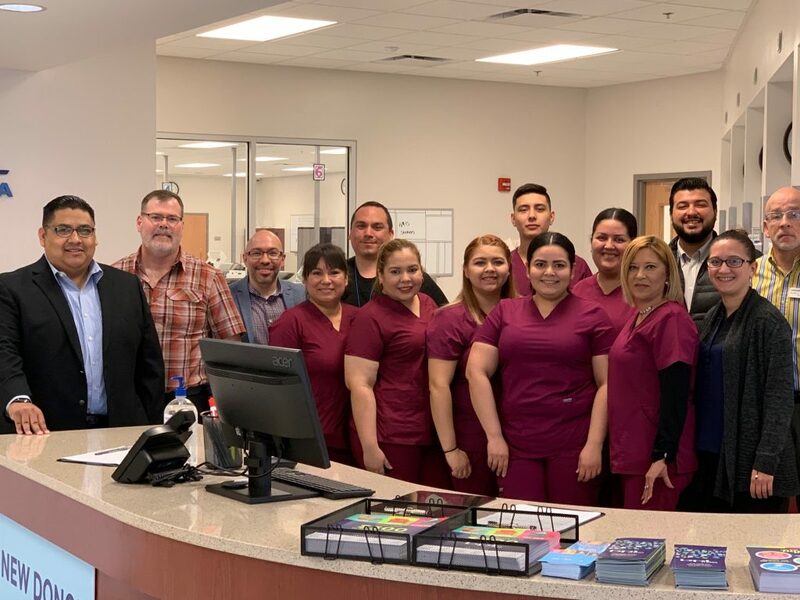 BPL Plasma is thrilled about the opening of our newest center in Laredo, TX. The public is invited to donate at BPL Plasma Laredo center which opened on Tuesday, February 19th and is located at 320 West Calton Road less than a mile east of IH 35. It aims to provide the highest quality donation experience to residents in the Laredo area. This is BPL Plasma’s 51st location nationwide and the 20th Texas location with additional plasma donation centers in Austin, Lubbock, Houston, College Station, El Paso, and Wichita Falls areas just to name a few. This 72-bed donation center accepts donations Tuesday through Friday from 10 am to 7 pm and Saturdays 8 am to 4 pm, and most holidays. Plasma is processed into a wide variety of lifesaving therapies that benefit thousands of people every day. Plasma-based therapeutics are used in the treatment of serious disorders such as hemophilia and immune system deficiencies, as well as for victims of shock and burns. Donors can enjoy free WiFi while donating and are encouraged to bring their laptops, phones, and tablets. Our friendly staff is ready to make your donation experience as quick and stress-free as possible, so you can earn cash while saving lives. The BPL Plasma Laredo staff is ready and looks forward to serving our local Laredo area donor community. About BPL Plasma: Part of UK-based Bio Products Laboratory, BPL Plasma has been a global leader in the plasma collection industry for more than 25 years. We’re proud to support the creation and manufacturing of lifesaving drug therapies by supplying high-quality plasma to people in need. – An expectant mother to carry her child safely to term. – A little boy with hemophilia to experience a healthy, happy childhood. – A wounded warrior or burn victim to begin the healing process. At BPL Plasma, the people who walk into our centers are much more than donors — they are lifelines. Their donation, quite literally, transforms the lives of patients around the planet. For more information, visit bplplasma.com/about-us.